International Vein Congress (IVC) is organized by Cine-Med Inc and will be held from Apr 25 - 27, 2019 at Loews Miami Beach Hotel, Miami Beach, Florida, United States of America. The target audience for this medical event is to those medical professionals working in the venous area, including: vascular surgeons, general surgeons, interventional cardiologists, interventional radiologists, cardiologists, cardiothoracic surgeons, phlebologists and other physicians, nurses and technologists. This CME Conference has been approved for a maximum of 21 AMA PRA Category 1 Credits™ Conference Description: This CME event melds together the highest quality education in the treatment of superficial and deep venous disease. IVC covers the hottest topics from sclerotherapy optimization to managing thrombophilias and discussing the latest in clot bursting strategies. This activity is designed to address the following core and team competencies: Patient Care, Medical Knowledge, Practice-based learning, and interprofessional collaboration. Conference Objectives are: • Discuss the use of ultrasound to diagnose and manage venous disease • Identify the potential safety issues associated with office-based venous surgery • Incorporate endovenous (thermal, chemical, surgical) modalities for closure of the refluxing saphenous vein • Select the best therapy for the eradication of secondary venous clusters with stab phlebectomy, powered phlebectomy, and foam sclerotherapy • Explain how to manage incompetent perforating veins and venous ulcers in the office • Discuss the management of iliac vein outflow obstruction Additional details will be posted as soon as they are available. 2019 SPARK meeting is organized by Radiology Business Management Association (RBMA) and will be held during Jun 02 - 05, 2019 at Eden Roc Miami Beach Hotel, Miami Beach, Florida, United States of America. Additional details will be posted as soon as they are available. 29th edition Florida International Medical Expo (FIME) 2019 is organized by Siora Surgical Pvt Ltd, Informa Life Sciences Exhibitions and will be held from Jun 26 - 28, 2019 at Miami Beach Convention Center, Miami Beach, Florida, United States of America. The exhibition will welcome over 14,000 medical and healthcare trade professionals from North, Central and South America, as well as from across the globe, to do business with 1,400 national and international companies showcasing new and refurbished medical and hospital equipment, technology, products and supplies. Additional details will be posted as soon as they are available. 16th Annual Meeting Society of NeuroInterventional Surgery (SNIS) is organized by Society of NeuroInterventional Surgery (SNIS) and will be held from Jul 22 - 26, 2019 at Fontainebleau Miami Beach, Miami Beach, Florida, United States of America. Additional details will be posted as soon as they are available. 4th World Congress & Expo on Public health, Epidemiology and Nutrition (WCEPEN) is organized by Scientific Federation and will be held from Sep 19 - 20, 2019 at Fontainebleau Miami Beach, Miami, Florida, United States of America. Conference Description: This Conference strives to bring many Prominent Speakers, Renowned Scientists, Professors, Deans, Surgeons, Physicians, Medical and Industrial Professionals, Young Researchers, Student Delegates and Business Delegates, along with information-packed Workshops, will fill the agenda. Working with the theme of “DESIGN THE FUTURE TOGETHER WITH NEW PHASES OF MEDICAL ADVANCEMENTS” is now an established event, attracting global participant’s intent on sharing, exchanging and exploring new avenues of Sports Medicine, Emergency Medicine and related research and latest developments. It aims to promote awareness and enhance research aiming in developing solutions for the various public health challenges encountered. WCEPEN-2019 will provide a wonderful forum for you to refresh your knowledge base and explore the innovations in public health and nutrition. The Conference will strive to offer plenty of networking opportunities, providing you with the opportunity to meet and interact with the leading scientists and researchers, friends and colleagues as well as sponsors and exhibitors. 2019 Florida Cancer Specialists Clinical Summit is organized by Florida Society of Clinical Oncology (FLASCO) and will be held from Oct 25 - 27, 2019 at Fontainebleau Miami Beach, Miami Beach, Florida, United States of America. The target audience for this medical event is Oncologists. Additional details will be posted as soon as they are available. American College of Prosthodontists (ACP) 2019 Annual Session is organized by American College of Prosthodontists (ACP) and would be held During Oct 30 - Nov 02, 2019 at Fontainebleau Miami Beach, Miami Beach, Florida, USA. The targeted audience for this medical meeting basically for Dentists. 2nd Annual Global Aesthetics Conference is organized by Global Aesthetics Conference (GAC) and will be held during Oct 31 - Nov 03, 2019 at Loews Miami Beach Hotel, Miami Beach, Florida, United States of America. The target audience for this medical event is designed to meet the educational needs of those Board Certified or Board Eligible in Plastic Surgery, Facial Plastic Surgery, Dermatology and Oculoplastic Surgery and Allied Health Professionals working directly with one of those specialists. This CME Conference has been approved for a maximum of 31.25 AMA PRA Category 1 Credits. Conference Description: The purpose of this activity is to build bridges of educational cooperation between the different core specialists involved in the treatment of the aesthetic patient. This is particularly important as we expand this mission to other parts of the world by inviting lecturers from around the globe to participate. 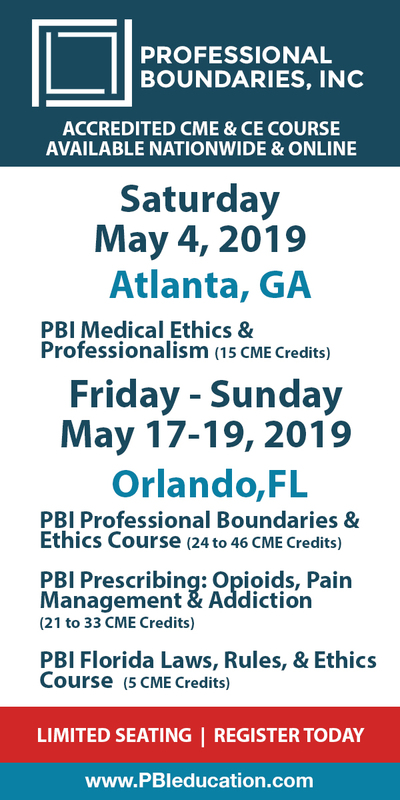 There are no true multi-speciality educational sessions with prominent educators from each field brought together for technique discussions and knowledge sharing anywhere else. This symposium will be unique in that it will bring an international audience to Miami and will be the knot to provide a truly multi-disciplinary environment with fairly equal representation among the specialities involved. This is the only educational venue that features the best and brightest in the fields of dermatology, facial plastic surgery, oculoplastic surgery, and plastic surgery. 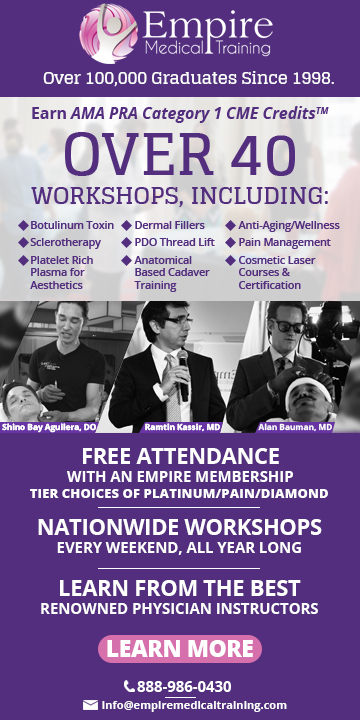 Our educational programs run a gamut that includes specific technique discussions, emerging technology, discussion of complications and non-invasive alternatives to surgery. Conference Objectives: • Compare options for skin rejuvenation using modern lasers and other skin tightening devices, fillers, injectables and minimally invasive lifting techniques • Estimate which patients might be the best candidates for surgical rejuvenation and which might benefit from non-invasive approaches to facial rejuvenation • Distinguish various face lifting techniques as they relate to anatomy • Demonstrate an improved understanding of how to avoid the common problems in Rhinoplasty • Differentiate the various approaches to blepharoplasty and browlifting to determine which technique is best suited for each patient • Assess controversial topics in facial aesthetic surgery to make more informed decisions about patient outcomes • Explain breast augmentation and methods to combine implants and lipo filling • Discuss the truths and limitations utilizing injectable fillers and non-invasive devices • Discuss refinements in Abdominoplasty and Brachioplasty in the non-massive weight loss patient Additional details will be posted as soon as they are available. Clinical Site Coordinator / Manager and GCP Workshop is organized by Society of Clinical Research Associates (SOCRA), Inc. and will be held from Nov 07 - 08, 2019 at Holiday Inn Miami Beach-Oceanfront, Miami Beach, Florida, United States of America. This CME Conference has been approved for a maximum of 14 AMA PRA Category 1 Credit(s)™. Conference Goal: The Society of Clinical Research Associates (SOCRA) recognizes the continuing need for education for Clinical Research Professionals responsible for the activities at the research site or institution. The purpose of this program is to assist Site Coordinators, Research Associates, and Study Nurses in improving their skills and their understanding of the responsibilities of the Clinical Research Site. This program is designed to address all of the functions of the research site related to the Good Clinical Practices as delineated by the U.S. Code of Federal Regulations and the guidelines supported by the International Council on Harmonisation of Technical Requirements for Registration of Pharmaceuticals for Human Use (ICH Guidelines). Conference Objective: The goal will be accomplished through lecture and practical application facilitated by clinical research professionals with a combined industry experience of more than 20 years. Information will be presented and discussed regarding the administration of clinical trials according to FDA Regulations and International Council on Harmonisation (ICH) guidelines as well as practical procedures and site/sponsor/ CRO relationships. Learning Objectives: Upon completion of this course the attendee should be able to: • Discuss aspects of clinical trials that are governed by regulations and guidelines. • Discuss the basic philosophy and guiding principles of clinical research GCP. • Discuss the elements of the Informed Consent Form, the ethical principles originating in the Declaration of Helsinki, the various aspects of the informed consent process, and those special considerations that may impact the process. • Describe the various aspects of human research protections including the ICH definitions of AEs (adverse events) and SAEs (serious adverse events) and describe the reporting requirements common to all sponsors and IRBs/IECs. • Discuss the role of the Study Coordinator including Submitting a protocol to the IRB; Setting up local procedures; Source documentation management and control; and Working relations with Sponsors. • Discuss the rationale and issues surrounding the monitoring visit and the audit process from a site, a sponsor, and a regulatory perspective. • Discuss the parameters, goals, and outcomes of audits and inspections. • Discuss the philosophy and rationale for the development and implementation of Standard Operating Procedures. Topics in Emergency Medicine is organized by Northwest Seminars and will be held from Dec 12 - 15, 2019 at The Palms Hotel & Spa, Miami Beach, Florida, United States of America. The target audience for this medical event is physicians, physician assistants, nurse practitioners, registered nurses, and all other medical care providers who must maintain state-of-the-art knowledge of the specialty or are impacted by it. This CME Conference has been approved for a maximum of 24.00 AMA PRA Category 1 Credits. Course Description: The practitioner of emergency medicine must possess an evidence-based scientific background for competent clinical practice; maintain state-of-the-art knowledge of the specialty and all additional related disciplines; maintain an up-to-the-minute armamentarium of knowledge and skills for the selection and use of complex equipment, pharmacological agents, and procedures; manage self and colleagues to function toward common goals in providing consistent care in all settings in which emergency care is provided; serve as an expert in matters involving quality, safe and equitable health care delivery and support of other service providers, departments, institutions, and organizations dependent upon professional expertise. Presentations are designed to facilitate the acquisition of cognitive and technical skills as defined through evidenced-based data translated to best practice standards by the pertinent governmental and professional organizations including the American College of Emergency Physicians, American College of Surgeons and the Emergency Nurses Association and abilities in one or more of the disciplines vital to the practicing professional. Course Objectives: At the conclusion of this activity, the participant will be able to: • Apply the pertinent physical and behavioral sciences as they impact and are affected by the planning, delivery, and monitoring of services inherent in the professions • Explain the selection, dosing considerations with methods of administration, safe use, contraindications and precautions of drugs based on their chemical and pharmacologic properties • Outline comprehensive patient management plans for the special patient population discussed • Apply the principles of safety and asepsis in the performance of all aspects of patient care regardless of the clinical environment in which the practice resides • Incorporate the published tenets of pertinent, recognized external organizations, institutions, and professional groups defining medical, legal, philosophical, ethical, and healthcare management standards. Additional details will be posted as soon as they are available.